September 2012 – He Said What?! According to the above definition, Aaron and I are in a state of war. We are actually in a state of war on two fronts. One front has been ongoing for a long time…………the other is fairly new, but escalated today. Aaron has a tendency to get hot. Not hot as in angry……well, sometimes he does do that…….but hot as in just hot……like sweaty hot. Yuck! Of course, it could have something to do with the fact that he often has his fuzzy blanket thrown over his lap as he sits at his desk and is on his computer. And under that blanket may very well be long pajama pants, slipper socks AND slippers, and even a long sleeved shirt. Never mind that we’ve told him time and again that he is way overdressed. This is how he seems to be comfortable and if Aaron is comfortable then there is a slim-to-none chance that he will change what he is doing. Aaron’s solution to being hot isn’t to dress lighter, although at times he does put on shorts along with a cooler shirt………while still using that fuzzy blanket. His solution is to turn on his ceiling fan, no matter what time of year it is. The whirring of his ceiling fan is a very common sound upstairs where his bedroom is located. 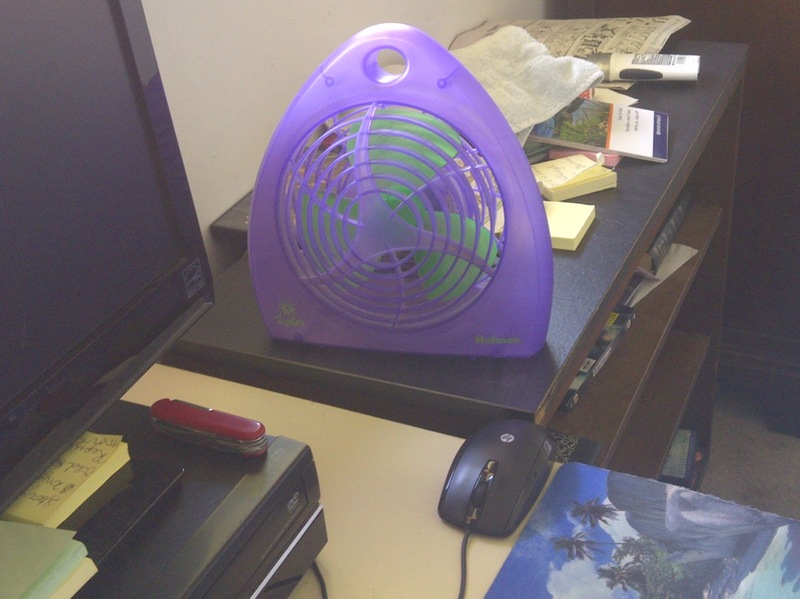 A year or two ago I bought him a little portable fan to put on his bookcase beside his desk. I showed him how this fan could be used to blow on him and keep him from being so hot. I thought that this was a great idea and was sure that Aaron would agree. I should have known better. Before long, we noticed that the fan was positioned to blow directly on Aaron’s computer………..not on Aaron himself. So I moved the fan back to the blowing-on-Aaron position……only to walk in later and find it in the blowing-on-the-computer position. When questioned, Aaron told us that his computer gets hot and so he uses his nice, new portable fan to blow on his computer in order to cool it down. No amount of persuasion, pleading, demanding, or scientific data showing otherwise has caused Aaron to budge on this issue. He is sure that his computer is too hot and that it needs the constant blowing of his fan in order to cool down and not explode, I guess. Aaron keeps his ceiling fan on for himself, and has changed his little blowing-on-Aaron fan into a blowing-on-the-computer fan. He also thinks that these fans need to be running constantly. I do not agree. When we leave the house, I always tell Aaron to turn his fans off. And sure enough, sneaky Aaron will somehow manage on many mornings to keep those fans turned on……..as he did today. Sometimes he’ll even go back into the house under the guise of getting something or doing something – but in reality he is sneaking back upstairs to turn those fans on. So the Fan Wars continue and will for the foreseeable future, I’m sure. Do you remember Aaron’s body wash that he said contained confetti? Well, he threw it away one day because he said it was empty. I rescued it from the trash because it was by NO means nearly empty. When turned upside down, there were days and days of future showers in that bottle. Listen, I am the woman who cuts open plastic bottles in order to use all the remaining face wash or lotion or other such things that are in there……..days and days of face washes and lotions I have found inside those bottles! So no way was I letting Aaron throw away days and days worth of his confetti body wash! Aaron does not have my thrifty nature. He also does not seem to appreciate upside down bottles. He has refused to use the body wash that has gathered in the upside down bottle. I have persevered, though, even while he got under his sink and pulled out a full, new bottle of a different brand of body wash. 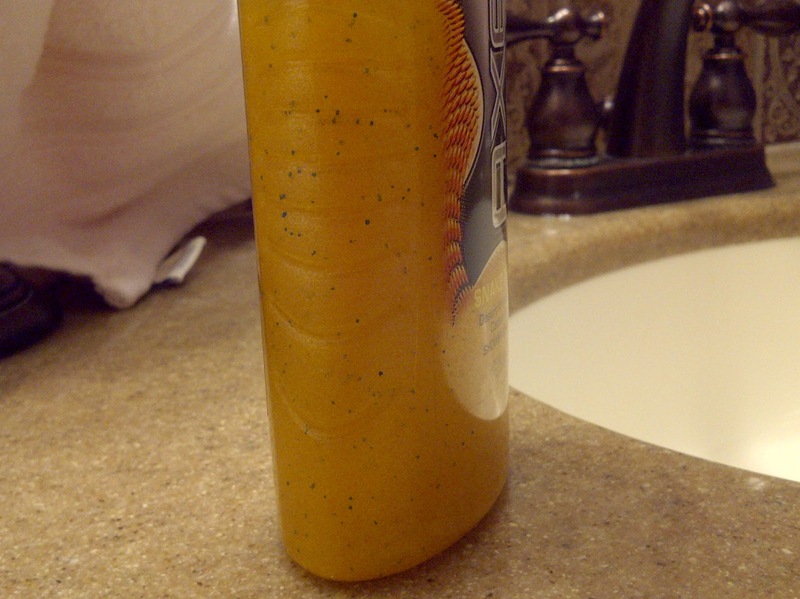 He has used this entire bottle, even while the confetti body wash has remained there, upside down and untouched. Now notice that Aaron said he threw away those hair detergent things…….plural. But then he referred to the air sound as coming from only one bottle. Uh-huh. He took the opportunity of having one empty bottle as a chance to throw both bottles away. Who does he think he’s dealing with? An amateur? No way! After I got home from taking him to his group, and had turned his fans off, I checked his bathroom trash can. Yes, I knew it! He had thrown away his upside down confetti body wash that still has days and days of showers left. Now that bottle of confetti body wash is perched upside down once again in his shower. I am not easily defeated. Problem is, neither is Aaron. Things could get hot around here! Wonder if he’d let me borrow his little fan? Author hesaidwhatksPosted on September 27, 2012 April 19, 2017 Categories Adult Autism, Communication, Family, Patience, Relationships, Special Needs Adults, Uncategorized, Understanding3 Comments on War! Gary and I heard Aaron clomping down the stairs before 7:30 this morning. Now that’s unusual! 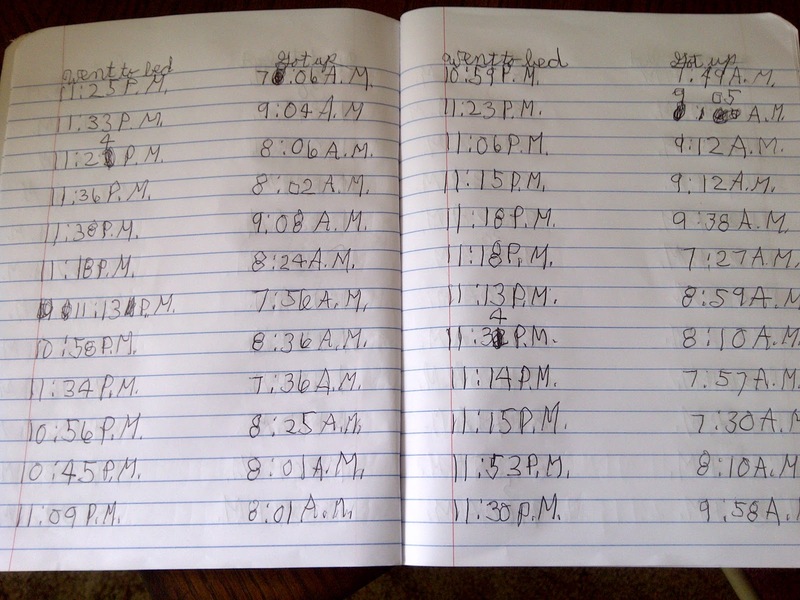 On most weekdays I have to wake him up in order for him to have time to get ready for his group. Soon he was clomping back up the stairs and up the hall, where he stood at our bedroom door that was locked……..because Aaron never knocks…….and he stood there saying, “Mom? Mom?” Gary told him that I would be out soon, so down the stairs he once again lumbered to wait on his slow mom. I found him in the kitchen and as usual, there was no greeting when I walked in and said, “Good morning, Aaron!” Instead he immediately launched into what is important to him……..which is him. “Mom! 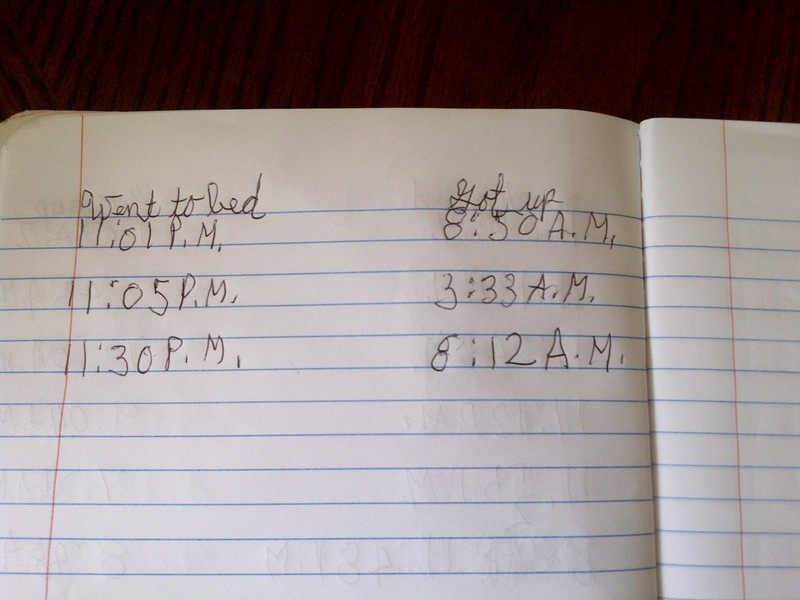 I got up at 7:12!” He paused for me to show my certain interest in this fact, so I did………. because if I don’t then he will repeat the fact that he got up at 7:12 until I do show my interest. Keep your chins up, everyone! It’s just another Monday! Author hesaidwhatksPosted on September 24, 2012 Categories Uncategorized1 Comment on Monday! Aaron wanted us to take a walk around our circle today with Jackson, our Great Dane. Since I am wearing a sling from an injury, I was hesitant to take our 200 pound doggie. Besides, Jackson had already been outside with Gary, Aaron, and me – so I convinced Aaron to be happy to just take a walk with me. And he was happy – he loves to take these walks………….and talk…………a lot, as always. I thought you might want to join us tonight. 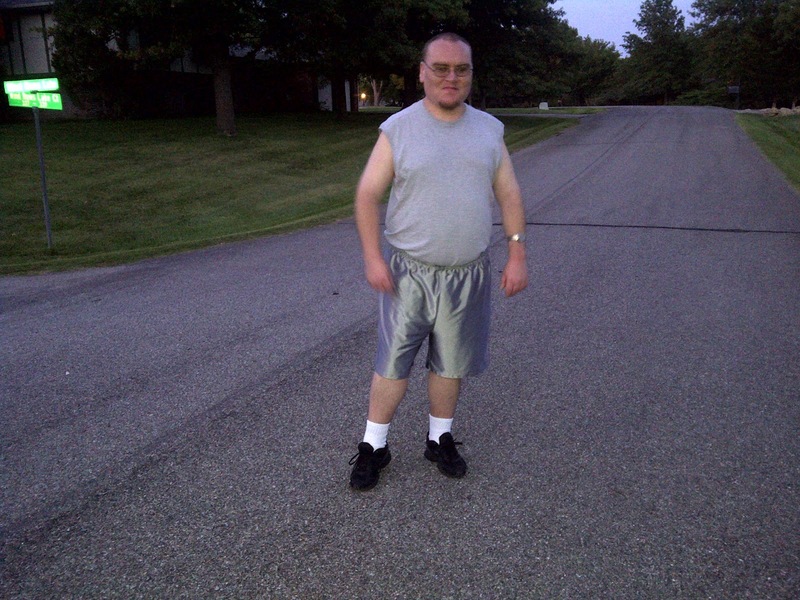 Aaron had already changed into his shorts and shirt that he wears to bed and was willing to put his normal clothes back on – except that they were in the washing machine already. I told him to just come as he was since those clothes don’t really look like pajamas. He was all about not having to change clothes again! We set out on our walk and he immediately started talking about our neighbor’s back patio and how he’d like to go back there to look at it. No, Aaron, you can’t go into their yard unless you’re invited. A couple houses away found him trying to reach up and pick an acorn out of a front yard tree. Aaron, I’ve told you not to touch any one’s trees……or bushes…….or grass…….or flowers. Or mailboxes, Aaron – do not open their mailbox! Here, just walk on this other side of me……….away from the trees and bushes and grass and flowers and mailboxes that don’t belong to you. Aaron, don’t point at the pretty yellow roses. I know you like them but don’t point. Why? Because people will wonder why you’re pointing at their house. Uh, yeah Aaron……..the same people live there again. And no, I don’t know how the fire started and yes, they still have a sign on their door and no, we are not going to go up and read the sign on their door. We stopped and listened to the aspen trees in the field as the wind blew the leaves in that pretty little rustling way that they blow. I like to draw Aaron’s attention to these details because they interest him…….but soon he’s on his way, looking both down at the road for something to pick up and examine, and looking around him for something else to talk about. There’s always much of the same, and occasionally something new. Yes, Aaron, those evergreens have funny little seed things on their tips, don’t they? And yes, those are hedge apples in that yard. “Mom, they look like brains!” Yes, they do, Aaron………….and no, you cannot go in their yard to get one. Aaron, quit barking at those dogs. I know they’re barking………..they’re dogs. You’re not. And our neighbor was walking out to put something in her trash cans, so we stopped to talk to her. Of course, Aaron reached over and pulled the end off of one of her tall decorative grass plants. Aaron! But Cheryl said it was OK, and Aaron was very pleased. He had wanted to pull one of those for a long, long time. Cheryl walked with us for a few minutes. Before she left, she had heard about Paradigm, EEGs, Cellulitis, and I don’t remember what else. Somehow she and I managed to get a few words in edgewise, as well. Oh, Aaron………..who likes to poke and whack and pinch and thump on our heads…………and point and touch and pull and examine………….because he likes to do these things………..and because he does like us. Some days more than others, and today was one of those days. It’s fun to walk with Aaron………to listen to him talk and talk and talk…………to enter into his world. I just have to work hard to keep him from entering everyone else’s world as we do our walking! Stay out of that yard, Aaron! Gotta Laugh – A Lot! You may wonder how I remember all the comments that Aaron makes. Well, I scribble things on post-it notes; or in a little notebook that I keep in my purse; or on my tablet; or on any piece of paper that I can quickly grab if I have nothing else and must write quickly in order to keep from forgetting. I have quite a collection – and this is after all the blogs I’ve written. I remove his sayings that I write about……..and you should see all the ones I still have that are waiting to be told. Therefore, I thought that I’d just randomly tell you a few of his spur-of-the-moment remarks so that I can remove some from my list or throw away a few sticky notes……….and hopefully give you a reason to smile or maybe laugh. Aaron’s internet was messed up some time back. He had to wait for Gary to fix it. Aaron’s way to explain this situation: “Mom, my internet crashed down.” Hope you were able to move out of the way, Aaron. Today he was telling me about his friend at Paradigm. 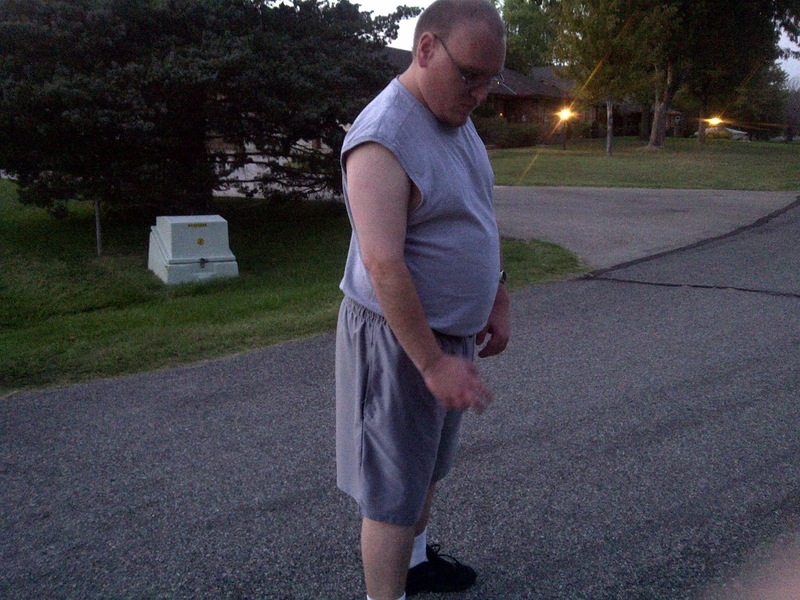 “Mom, J’s father is handicapped. J has to help him with things. I didn’t go too far and ask him if he helps his dad go to the bathroom. That would have been too far, right?” Yes! That would have been way too far, Aaron. He has a friend in his day group, a girl, with whom he teases……..a lot. I think sometimes things get a little carried away, but they don’t seem to get mad at each other. Tonight he said, “Mom, if T calls me names……..I mean bad word names……….I say, ‘Good, I’m glad to.’ ” Oh brother. His response may not always be the best thing to say at all…………but I am NOT explaining that to him. Gary can. And finally, one of my very favorites of all time was when he told me about going up the escalator in the mall with Cody, one of his favorite staff. I didn’t ask Cody about this story but here is Aaron’s version: “Mom! Cody and I were going up the escalator at the mall. I pulled this thing and I heard alarms!” Good grief, Aaron! Did you really? Well, WHAT DID IT SAY??!! HaHaHaHa!! I can laugh because I wasn’t there. And I hope these little snippets have made you laugh or at least smile. And I’ve marked a few things off of my “Aaron’s comments” list. Thanks for reading! Author hesaidwhatksPosted on September 20, 2012 Categories Adult Autism, Asperger's Syndrome1 Comment on Gotta Laugh – A Lot! Aaron has a pill box that I refill every Saturday night or Sunday morning. On Sunday I spilled part of a drink on top of his pill box when it was full, naturally. Some of the drink got into two of the full pill sections, so I had to throw those pills out. 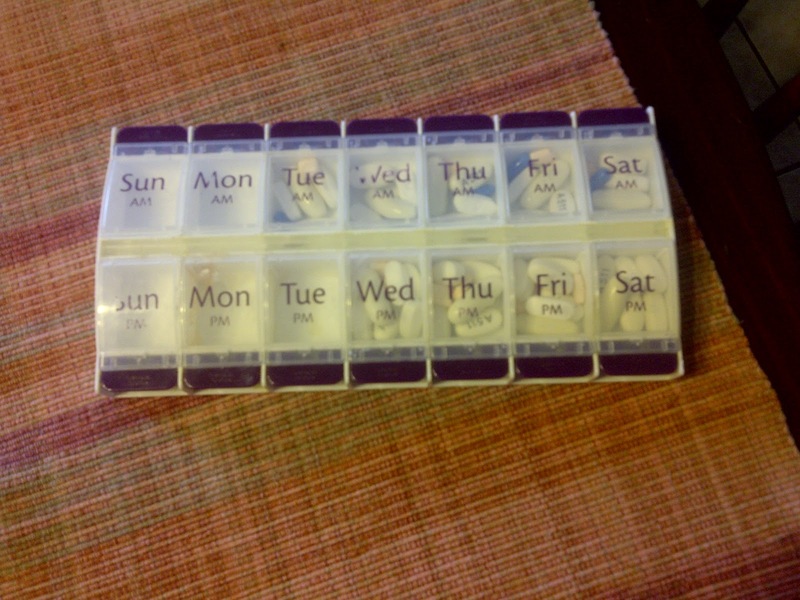 The inside of those sections is a mess, so I decided to just buy a new pill box the next time I’m at Wal-Mart. In the meantime, those two sections of pills are now empty. The order is messed up on Aaron’s pill box. You know where I’m going with this. This morning, Aaron came straggling into the kitchen right after he got up. He and I sat at the table while he finished waking up, with him telling me his usual morning story about how tired he is. I was asking about what he wanted for breakfast after he showered, and then I told him that he could go ahead and take his pills. The Tuesday morning section is empty now, so I told him that he could just take the Wednesday morning pills……..and that I would straighten it all up as soon as I buy that new pill box. “Why not, Aaron?” I asked. I know defeat when I see it. I got the pills down and refilled the TUESDAY morning section. “Now will you take them?” I queried. He brightened. “Yes!” he said. What ever possessed me to think that on a TUESDAY morning Aaron could possibly take the WEDNESDAY morning pills? Aaron is not Gumby. He can only stretch so far in that orderly world of his. You can’t say I didn’t try, though. Author hesaidwhatksPosted on September 18, 2012 February 28, 2016 Categories Adult Autism, Asperger's SyndromeLeave a comment on Wednesday on a Tuesday? !